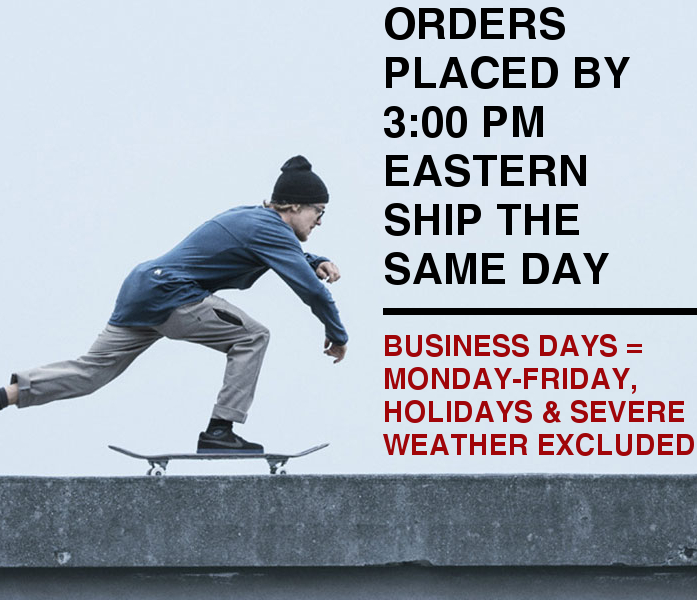 Domestic Shipping Information | Ambush Board Co.
FREE Shipping method will be selected by Ambush Board Co. (FedEx SmartPost or FedEx Ground/Home Delivery, depending on shipment weight). 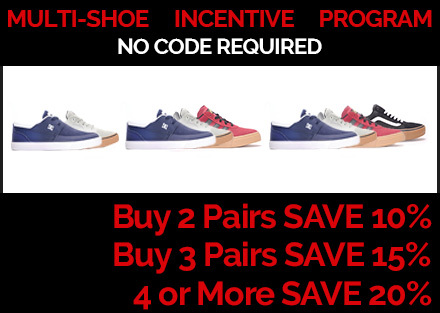 Ambush Board Co. reserves the right to end or change this FREE Shipping offer at any time. Shipping and handling charges listed at the cart level are based on products in the cart and the shipping address provided. Puerto Rico and U.S. Minor Outlying Islands orders are considered "international" orders. Ambush Board Co. reserves the right to limit quantities and or charge actual shipping charges on bulk orders and shipments over 20 Lbs. All APO, FPO, and DPO orders are shipped via the U.S. Postal Service. P.O. Box orders are shipped via the US Postal Service or the FedEx SmartPost service. Invalid or incorrect addresses are subject to an additional fee of $15.00 that will be charged to the credit card used to make the initial purchase upon notification from the shipment carrier. No refunds on shipping costs unless Ambush Board Co. is responsible for the error. Orders shipped via the US Postal Service must be paid for by Visa, MasterCard, PayPal, PayPal Credit, Amazon Payments, eGift Card, wire transfer, or money order by mail. We cannot accept American Express payments if the order is being shipped with the USPS. FedEx SmartPost is a more cost-effective way of sending out shipments that aren't necessarily time-sensitive...where FedEx, after carrying shipments to the final destination ZIP code, tenders shipments over to local Post Offices for final delivery. FedEx SmartPost is for smaller, lighter packages. FedEx SmartPost is rated as a 5-10 business day service, but it can often take as little as two business days for shipments sent out via the SmartPost service to be delivered. SmartPost pickups happen Monday-Friday, deliveries occur Monday-Saturday. FedEx SmartPost has proven to be an incredibly reliable service. 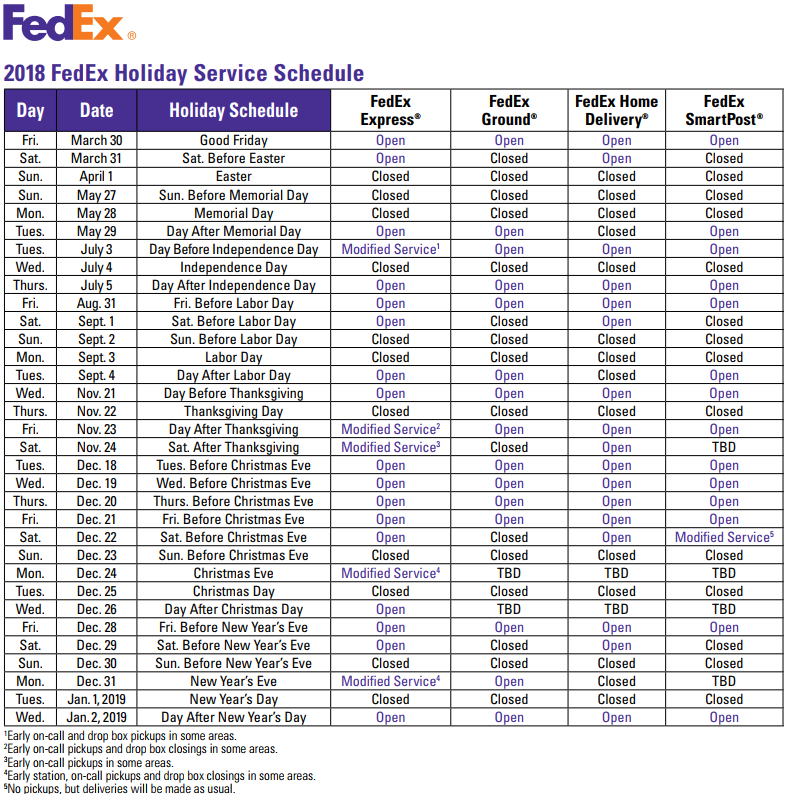 However, lost shipment claims on any package sent out using the FedEx SmartPost service will not be considered until 30 days from the original ship date. Ambush Board Co. offers an express shipping upgrade on in-stock product. Saturday Delivery available for select locations at an additional cost. Saturday Delivery orders must be phoned in and must be placed by 12:00 PM on Fridays. Express Guarantee is for business days only...holidays, weekends, and severe weather excluded. No refunds on shipping upgrade costs unless Ambush Board Co. is responsible for an error or the shipping carrier is at fault. Some items may not be available for Express upgrades. Heavy and oversized orders may require additional shipping charges. All orders with a valid email address will automatically receive shipment notification emails with tracking information for the order. This is your confirmation that your order has shipped. For information on International, Puerto Rico, and U.S. Minor Outlying Islands orders, click here. Lost or missing shipments must be reported to Ambush Board Co. within five business days of the expected delivery date. Should our shipping company show the lost or missing package as delivered, you will need to sign an affidavit attesting to the fact that the package was, indeed, not received by you. Any unreported lost or missing shipments are the responsibility of the Customer. Ambush Board Co. shall assume no liability for unreported missing or lost shipments. *Lost shipment claims on any package sent out via the US Postal Service or the FedEx SmartPost service will not be considered until after 30 days from the original ship date.